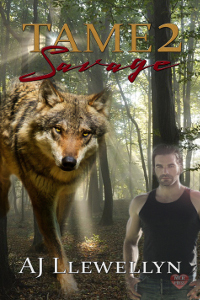 LAPD cop Cavan Carmichael loves his werewolf mate who's just about to turn...savage. In this sequel to Tame, LAPD cop Cavan Carmichael is more in love than ever with Ludo, the wolf-shifter he rescued in a nightmare raid. Ludo fights his inclinations to kill, but has eighteen months to go before he can break his deadly curse. One evening, in the middle of a family barbecue, Cavan is disturbed not only by Ludo's increasing moodiness but stone statues of wolves that populate the exterior of the building next door. That's not all. Somebody's stalking Cavan. He soon learns that a second man has been beaten and tortured in the same manner as Ludo. When police rush to the property, the victim turns out to be somebody from Cavan's past. Secrets are revealed, mysteries deepen, putting Cavan's life at risk. "Don't worry," Ludo tells him. "I would never let anyone hurt you. When I'm pushed to the wall, I'm savage."